Born in N.Y., had an early strong affinity for music. His mind was blown wide open as a young boy listening to Led Zeppelin II. It set his ears on fire, his mind and imagination in motion. Beginning w a drum set and then trained in classical violin for 8 years, went on to guitar from there. and graduated w a degree in Guitar Performance. Moved to NYC and got down to business, in every musical way! Formed his band Newworld Vision, recorded and played in many signed and unsigned projects, studios and clubs in Manhattan and beyond, while recording a solo album as Some Significant Other and and EP as Rainwave. Influenced by labels such as Ground Groove and Headzone, artists such as Massimo Vivona, Petar Dundov, as well as Samuel Sessions and Ben Sims, w a focus on deeper, rhythmic, spacey techno, tech house, as well as specializing in exotic downtempo sounds from around the globe and including artists such as Didjworks, Loop Guru, Bill Laswell and his dear friend Daniel Lanois. He continues to evolve sonically, and push the envelope musically. Creator of Space Station 3 events in Los Angeles, catering to the deepest and most eclectic tech house, techno, downtempo, world music, adventures and has been djing in Los Angeles and throughout the west coast up to Vancouver as well as around the USA and recording music, while also playing in and recording for many projects and bands in Los Angeles. 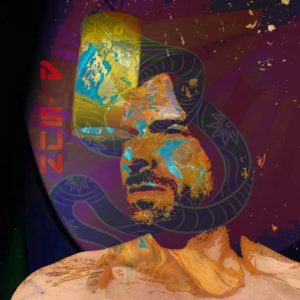 A.SUN continues to reside and be a force and mix it up w the best talent in Los Angeles’ huge electronic music scene.